Hubble has snapped a spectacular view of the largest "player" in the Leo Triplet, a galaxy with an unusual anatomy: it displays asymmetric spiral arms and an apparently displaced core. The peculiar anatomy is most likely caused by the gravitational pull of the other two members of the trio. 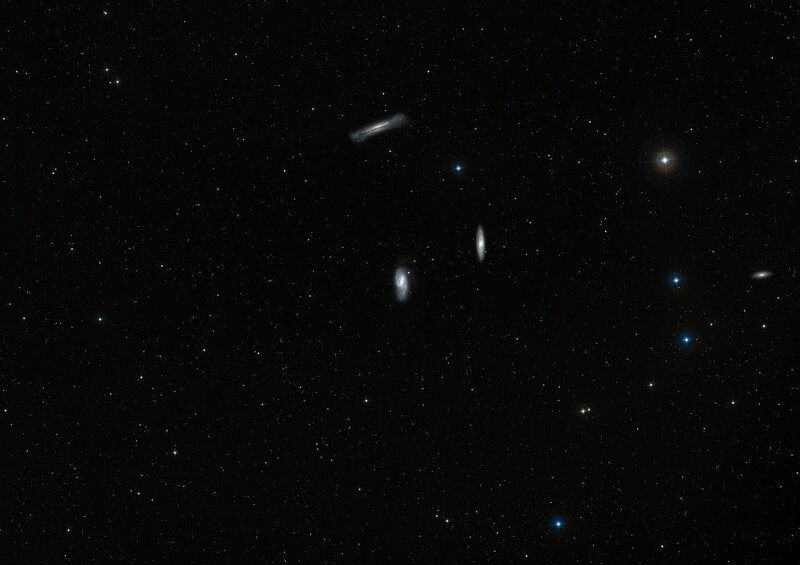 Messier 66 is the proud owner of exclusive asymmetric spiral arms which seem to climb above the galaxy's main disc and an apparently displaced nucleus. This asymmetry is unusual; most often, dense waves of gas, dust and newly born stars wind about the galaxy's centre in a symmetric way. Astronomers believe that Messier 66's once orderly shape has most likely been distorted by the gravitational pull of its two neighbours. 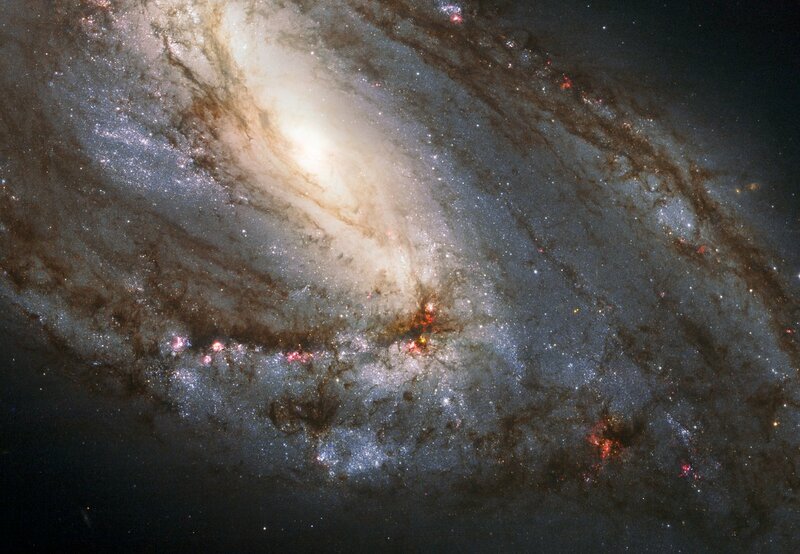 Messier 66 boasts a remarkable record of supernovae explosions. The spiral galaxy has hosted three supernovae since 1989, the latest one occurring in 2009. A supernova is a stellar explosion that may momentarily outshine its entire host galaxy. It then fades away over a period lasting several weeks or months. During its very short life the supernova radiates as much energy as the Sun would radiate over a period of about 10 billion years.